In Buganda, members of the Omusu (Edible Rat) clan are delighted that Kabaka Mutebi has chosen to take a wife from among their daughters. Two of Sylvias great Aunts, the sisters of her grandfather, Nelson Nkalubo Sebugwawo, were wives of Ssekabaka Daudi Chwa II, the grandfather of the present King, and produced between them, six princes and princesses of whom only two survive today. Nelson Sebugwawo himself had a distinguished record of service under Ssekabaka Mutesa II from the early 1940s to 1966. He held the important county Chieftainship of Busiro (at Sentema) and Kyaddondo (at Kasangati) before being appointed Omuwanika (Treasurer) under Katikkiro Michael Kintu. Nkalubos own father had been a chief for Ssekabaka Chwa II, the father of Mutesa II. 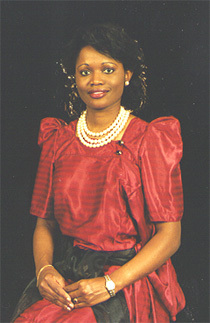 More recently, Nkalubos son Daniel Sebugwawo served briefly as a private secretary to Kabaka Mutebi II.